Research by City University London academics has helped councils across the UK measure populations more accurately, saving money and improving people's standard of living. Official population statistics based on the 10-yearly UK Census are often inaccurate at local authority level, because for the intervening years they depend on projections that cannot take into account issues such as unexpected migration. Population data is vital to local authorities as they base their budgets and create policy according to these estimates. If they had better data, they could work more efficiently. Professor Les Mayhew from City University London has spent the last 13 years addressing this shortfall by conducting research on administrative data and finding ways to count populations on a local level, particularly focusing on linking population estimates to how local authorities create policy around health and social care, education and crime. In total, Mayhew's innovative work using local administrative data has resulted in many millions of pounds going to local authorities in central government grants and lottery funding. Since 2000 Professor Mayhew and co-author Gill Harper (formerly Research Fellow at City, now Operations Director at Mayhew Harper Associates), have developed a system which uses administrative data to measure populations. Their methodology for counting populations uses local administrative information coupled with algorithms and innovative modelling tools to to link and analyse data, resulting in accurate and timely information for planning, commissioning services and policy development. The data they produce is far more up-to-date and has far more granularity (detail) than is possible with survey methods. Vitally, their method costs a fraction of the Census-based techniques. Professor Mayhew and Ms Harper have completed over 60 projects for local authorities, healthcare organisations and the 'third sector' in education, public health, housing, service design, economic evaluation, transport planning and equality impact assessments. A successful business, called Mayhew Harper Associates Ltd. working under the brand name Neighbourhood Knowledge Management (nkm), specialises in the use of local administrative data. 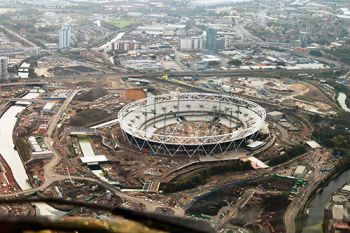 nkm was employed by the six Olympic boroughs in the 2012 Olympic preparations and by the GLA post-Olympics as a Census check and baseline for future investment and change. 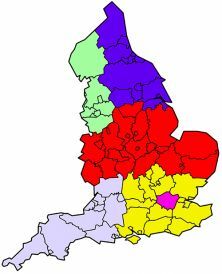 The research consultancy has carried out numerous investigations into diverse topics such crime prevention, in epidemiological applications such as the impact on Asthma on educational outcomes, and for Joint Strategic Needs Assessments (JSNA) for Primary Care Trusts. In another project Professor Mayhew carried out an evaluation of the Partnerships for Older People Projects scheme, which looked at ways of supporting older people to live independently in the community. Mayhew's methodologies formed the basis for an evaluation of an early prevention care co-ordination service for older people which ended up saving on average 14-28 hospital bed-days a year and up to 5 visits to A&E. If replicated nationally, it could save 3% of the NHS budget. The Department of Health praised Professor Mayhew's work with the London Borough of Tower Hamlets that helped shape the commissioning and delivery of services. Using Mayhew's method the Borough of Brent calculated it was receiving £8.5 million less than it needed in its Formula Grant, the funding it is allotted by central government. Professor Mayhew has also given evidence to select committees on his research in particular the House of Commons Science and Technology Committee. In September 2012, the Committee published the report The Census and social science. The report sought evidence for the potential impact on social science research of the ending of the Census, with a view to the recommendations feeding into the Office for National Statistics' 'Beyond 2011 Programme'. The report made extensive references to evidence provided by Mayhew, for example: "We consider Professor Mayhew's evidence as confirmation that there is a credible alternative to the Census for the purposes of local government". Following the Science and Technology Committee's report, the ONS established 'Beyond 2011', to identify the best method of providing small area population and socio-demographic statistics as an alternative to running a traditional ten-year Census in 2021. Mayhew and Harper are currently advising the ONS in England and GRO in Scotland as they prepare to replace the traditional census with administrative data for population counting purposes. This innovative way of measuring populations has allowed numerous councils to better understand their needs and the costs of running their services. As such, it can both save money and improve people's standard of living. The work has influenced policymakers at all levels and continues to do so. Harper G. & Mayhew L. (2012a). Using administrative data to count local populations. Journal of Applied Spatial Analysis and Policy, 5(2), 97-122. Harper G. & Mayhew L. (2012b). Applications of population counts based on administrative data at local level, Journal of Applied Spatial Analysis and Policy, 5(3), 183-209. Department of Health (2012). The power of information: Putting all of us in control of the health and care information we need, May, pp. 32. Mayhew, Les (2011). How Tower Hamlets joins up social care and health data, The Guardian, 9th November.